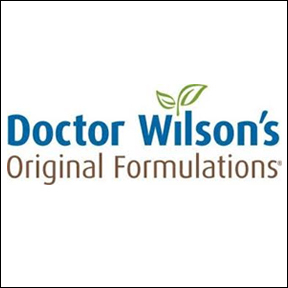 Dr. Wilson’s unique dietary supplements are based on decades of careful research and the belief in the healing powers of the human body. These specifically formulated supplements are designed to effectively target imbalances brought about by stress, inadequate nutrition, poor digestion, and diminished immune and endocrine function. The philosophy behind every formula is to deliver effective and reliable support to the precise areas of the body needed to create optimum health and vitality. All Doctor Wilson’s supplements incorporate high quality ingredients selected for their demonstrated ability to meet the targeted health need. Every ingredient is in a bioavailable form and in a proportion that combines optimally with the other ingredients to enhance their usefulness and overall effectiveness. These formulas comprehensively nourish, support and promote proper functioning of specific biological processes that renew and sustain your health. By working with your body, these supplements encourage the reliable, deep wellbeing that comes from physiological balance and superior nutrition. Super Adrenal Stress Formula – This sustained release, vegetarian formula contains specific forms and ratios of nutrients that enhance energy, support healthy adrenal hormone production, and facilitate other biochemical processes involved in stress without over-stimulating your system. Super Adrenal Stress Formula makes it as easy as possible for your adrenals to get the nutrients they need to function well. Every nutrient is delivered in the optimal form and proportion for adrenal use. Hair, Skin and Nails Plus Formula – This formula provides the specific nutrients and other natural factors the body needs to build healthy skin, strong nails and beautiful hair. Bioavailable forms of these nutrients are combined into a dynamic, balanced supplement that delivers the precise amounts and proportions for optimal absorption to create healthy tissue structure in newly forming skin, hair and nails. Consistent use of Hair, Skin and Nails Plus Formula™ brings out a difference you can really see and feel within weeks. Inner Healing® is designed to support the integrity of the intestinal lining and provide the nutrients necessary to support the health and function of the complex intestinal system. This synergistic formulation combines wildcrafted botanicals along specific vitamins and minerals to soothe, replenish and heal an inflamed intestinal lining. Inner Healing® provides targeted support for proper digestion, absorption and utilization of nutrients, as well as immune health. For best results, take 2 capsules in the morning and again at bedtime to aid rebuilding and restoring a healthy functioning digestive tract. Gluten, dairy and soy free, vegan formulation. This entry was posted in Home and tagged Doctor Wilson's, hair, Inner Healing, Professional Supplement Center, Skin and Nails Plus Formula, Super Adrenal Stress Formula, Vitamins and supplements, www.professionalsupplementcenter.com. Bookmark the permalink.